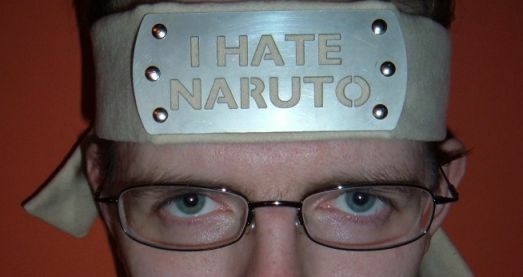 What do I think of Naruto? 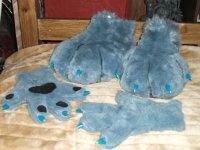 Some of you may have seen these on my art galleries, and the biggest thing I’m asked is always “why??”. 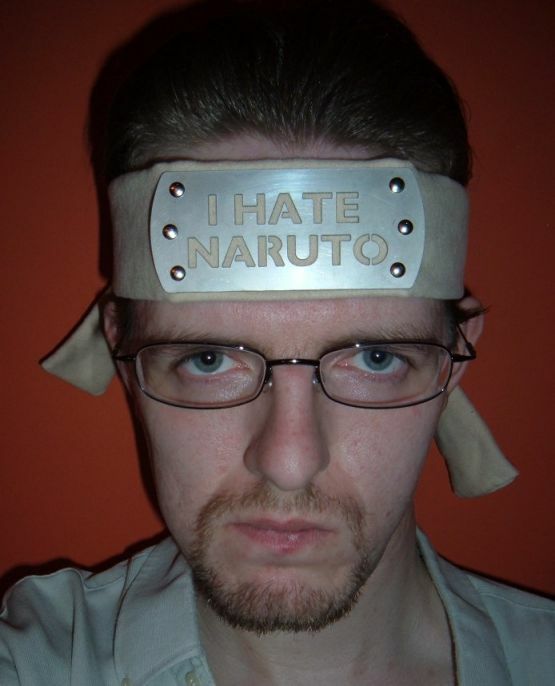 To be fair, I’ve never even watched Naruto. And I likely never will, because of the hoards of rabid fans who never shut up about it. It may well be a great anime, but I could never bring myself to watch it now because I’d be associated with them. For every entry I had on my gallery saying this was a funny idea, I had a couple that yelled at me, cussed me out and several that would legally constitute death threats. That’s why I don’t want to watch it. In the interests of fair play though, I will be coming out with a more supportive variant on this design, as well as making a change to the existing one. This of course means the 10 of these originals I have left will be unique. A limited offer indeed! And for just £10 each, could you resist? This type is waterjet cut from 304 Stainless Steel, and backed using hand-pressed rivets onto doubled-up moleskin cotton for hours of wearing comfort. This entry was posted on Tuesday, July 15th, 2008 at 6:07 pm	and is filed under Novelties. You can follow any responses to this entry through the RSS 2.0 feed. You can leave a response, or trackback from your own site. O_o Max, you are so lame, so just shut up, grow up and GTFO :P.
Ohh my gawwwd! For SO long I have searched for something like this! To any that have doubts I would suggest skip past episode 135 from the original seasons to Shippuden though! I’m sorry to get this off-topic slightly, but I found this web site is performing rather well. Would appreciate any tips on the right extensions to install?